As Danielle Sered notes in her recent report, Accounting for violence: How to increase safety and break our failed reliance on mass incarceration, since 53 percent of the people incarcerated in the U.S. were convicted of assaultive crimes we will not end mass incarceration in this country unless we address the problem of violence. 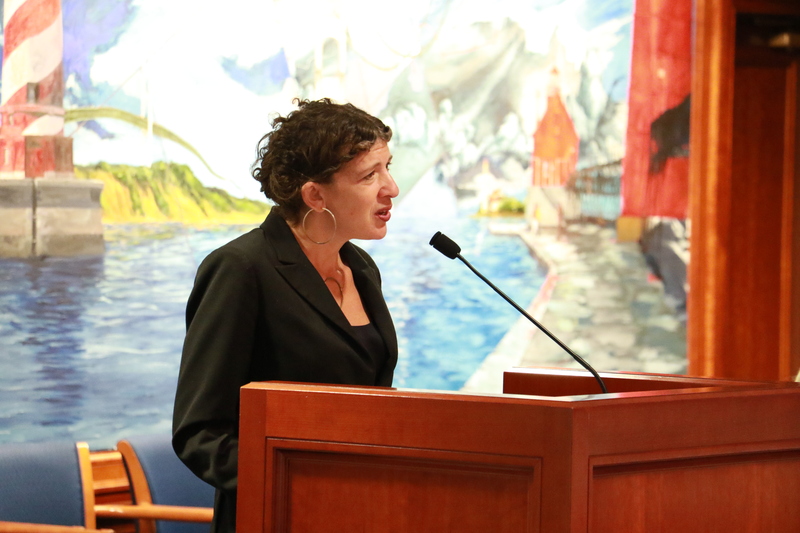 On October 12, CAPPS co-sponsored two presentations by Danielle Sered, executive director of Common Justice, in Lansing and Ann Arbor. Common Justice is a nonprofit organization that operates a restorative justice diversion program for assaultive offenders, in collaboration with the Brooklyn District Attorney’s Office. Our current system asks who is guilty and how can we punish them. Restorative justice asks who is hurt and how can we heal the hurt. Once you ask that second set of questions, you end up with a very different agenda. Sered’s experience has shown that the policies and practices designed to address violence should be consistent with four core principles. They should be 1) survivor-centered, 2) accountability-based, 3) safety-driven, and 4) racially equitable. The principles provide a roadmap for both safety and justice. The people who experience the pain and loss associated with serious harm should be at the center of how we think about addressing that harm. In this country we have enacted draconian legislation in the name of crime victims and we have done that largely without asking them what they want and without their permission. For more information on Danielle Sered’s work, see http://www.commonjustice.org/. A video of the full presentation hosted at the Cora Anderson House Office Building in Lansing, Michigan is available below. A video of the full presentation hosted at the University of Michigan Gerald R. Ford School of Public Policy in Ann Arbor, Michigan is available below. The events were organized by: Citizens Alliance on Prisons and Public Spending (CAPPS), Friends of Restorative Justice of Washtenaw County, American Friends Service Committee Michigan Criminal Justice Program, University of Michigan Gerald R. Ford School of Public Policy, and Michigan Council on Crime and Delinquency.